1 Fibre ball machine NOWO y.o.c. 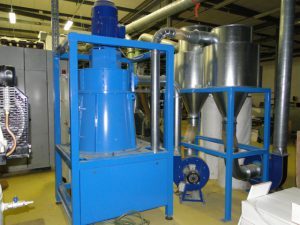 2015, model NOWOROLL “S” ,single machine with output 250kg/h, incl. fans, cyclones with filters, control panel with inverters for easy settings of different ball structures, only few running hours.